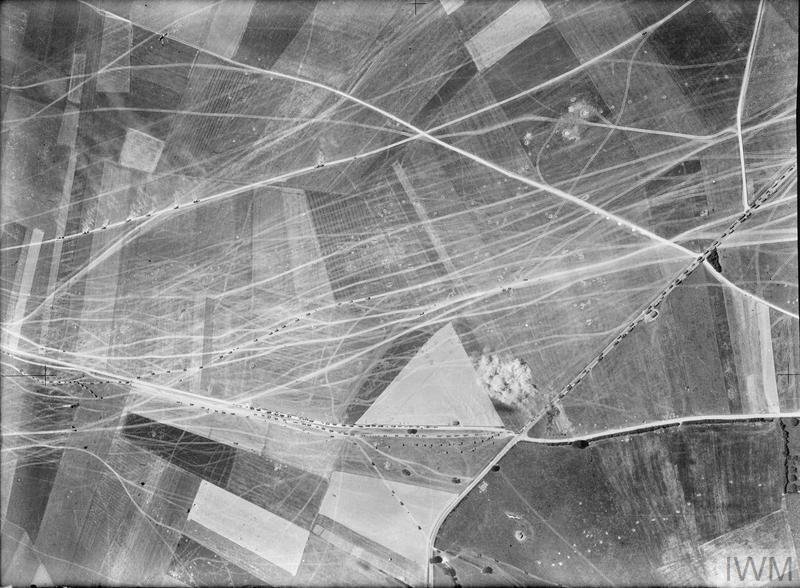 Vertical aerial photograph taken from 3,100 feet by Bristol Blenheim Mark IV, T2032, of No. 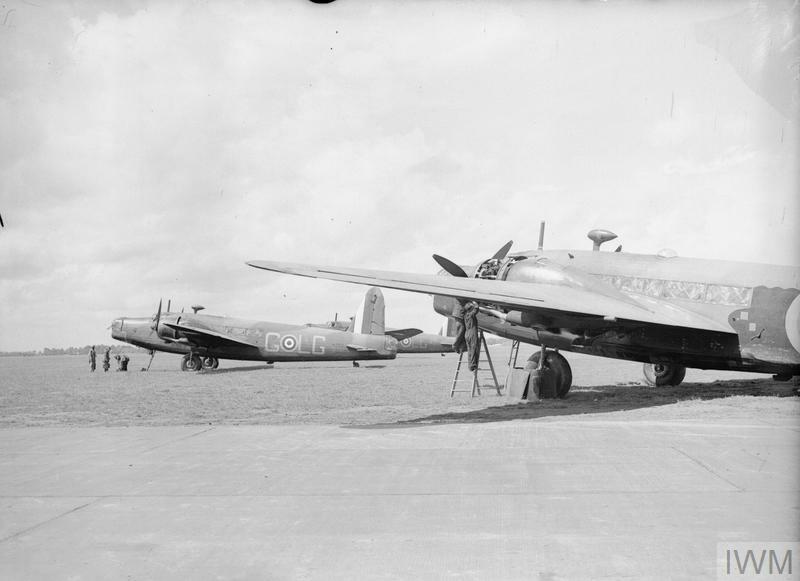 82 Squadron RAF, of part of the docks at Dunkirk. 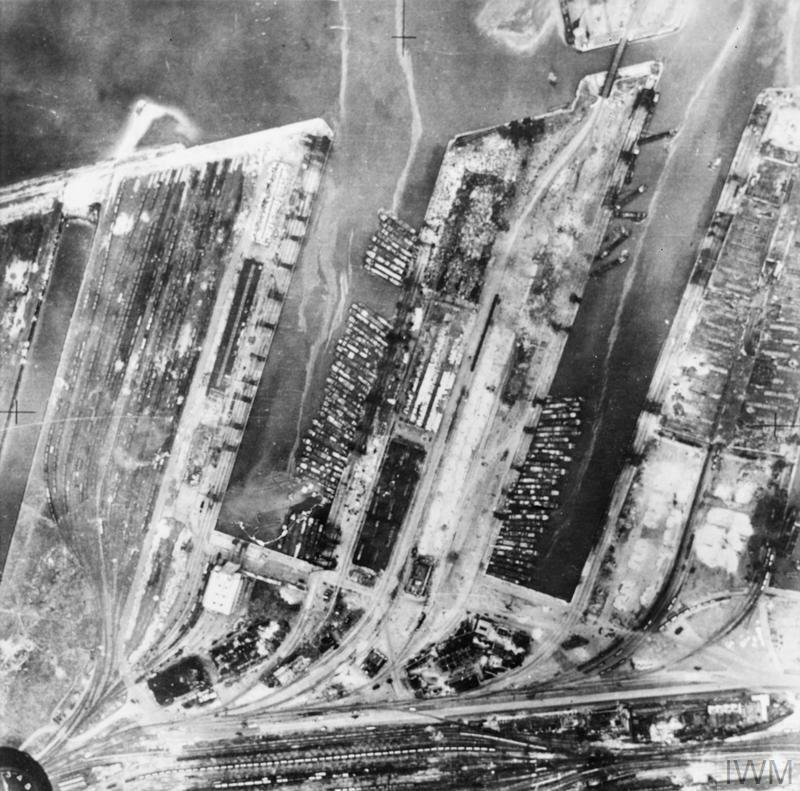 Invasion barges assembled for Operation SEALION are moored to Mole No. 4 in the Bassins de Freycinet. A number of sunk and damaged barges can be seen at the top of Darse No. 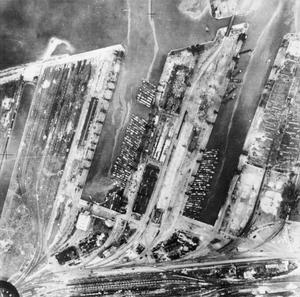 4 (upper right), and the dock buildings to its right are completely destroyed. Two of the three warehouses on Mole No. 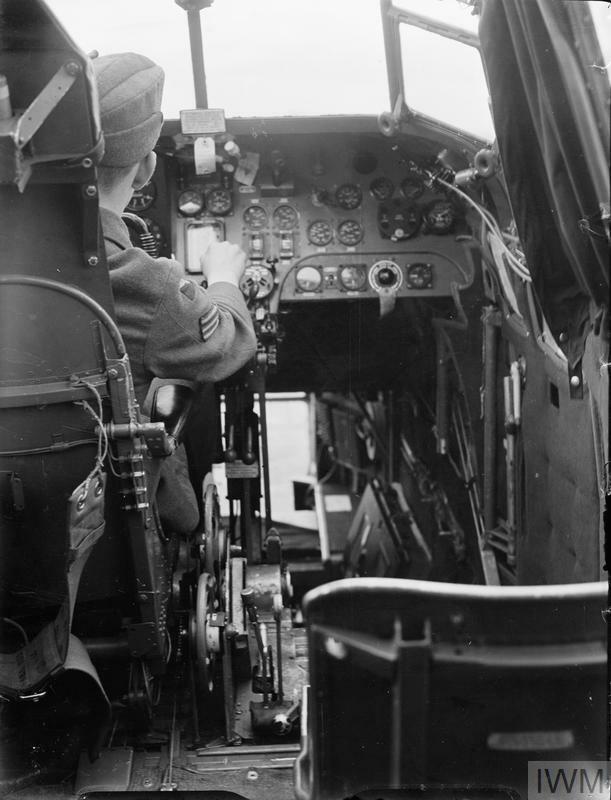 4 have been gutted by fire and wharves, roads and railway sidings are pitted with bomb craters.